If you've got a taste for terror ... Take Carrie to the prom. The Stephen King the world knows today is famous for his prolific output and his adept ability to blend supernatural horror with grounded humanistic elements. His first novel Carrie hit on these trademarks but it is not until the Brian De Palma adaptation of the novel that Stephen King became Stephen King – master of horror and Hollywood goldmine. Tracing the trials and tribulations of the least popular girl in school Carrie White (played by Sissy Spacek in the film) is an outcast amongst her peers. Saddled with typical teenage awkwardness is bad enough but to further exacerbate her otherness, she has an overbearing religious mother who fails to properly explain the many changes that occur in the human body during adolescence. As such, when Carrie gets her first period in gym class she reacts with horror opening up yet another opportunity for the class bullies to unleash unrelenting ridicule. This is where we get our first introduction of the supernatural that King does so well as we learn that Carrie also possesses telekinetic powers which manifest when she is emotionally distressed. What is important to note is that King, even in his earliest works had a grasp on the various types of fear that not only includes monsters and demons like Pennywise but also social fears like social exclusion.The universality of this fear and the shared experience of adolescence is what makes Carrie hold up as a horror classic transcending time and culture. In order for those themes to resonate past the page and onto the screen, there must be a director that understands the sensibilities of the source material. While not an absolute retelling of the book, Director Brian De Palma’s interpretation of the material falls in line with King’s. The union between De Palma and Carrie is an interesting one because like the titular character in the film De Palma can be considered an outcast amongst his peers. Perhaps a product of his preference for working on darker themes, De Palma never quite found the same level of widespread success that the likes of Spielberg, Scorsese, Lucas, Allen and Coppola who directed Jaws, Taxi Driver, Star Wars, Annie Hall and The Godfather around the same time did. Though De Palma would go on to direct critically acclaimed but criminally under seen films like Blow Out (reuniting him with John Travolta who plays a minor role in Carrie) and blockbusters like Mission Impossible, Carrie remains one of De Palma’s most culturally significant hits. "The real question is why, when the original was so good? I mean, not Casablanca, or anything, but a really good horror-suspense film, much better than the book." Where more traditional horrors films will frame the villain as monsters out to cause destruction or fulfill some psychopathic urge, Carrie sees the villain as human with redeemable qualities. As the film progresses and Carrie telekinetic powers become increasingly violent she adopts more of an anti-hero persona than one of an actual monster. In essence you almost want her to exact her revenge on her bullies. Selling this capacity to cheer for Carrie is essential to how well the film plays out; a trait that is not as well conveyed in the 2013 remake resulting in an inferior film. Watching this film in 2017 (40+ years after its initial 1976 release), many of the Carrie’s more graphic scenes will seem tame by today’s standards (just compare the prom scenes) but it is not the graphic horror that makes Carrie a cultural touchstone rather it is a product of its progressiveness and De Palma’s sheer brilliance behind the camera. For one, Carrie puts female characters at the forefront – something today’s films still struggle with in their representation of women – and two – Carrie addresses adolescent issues in regards to bullying and identity long before John Hughes would popularize the teen genre in the 80s. 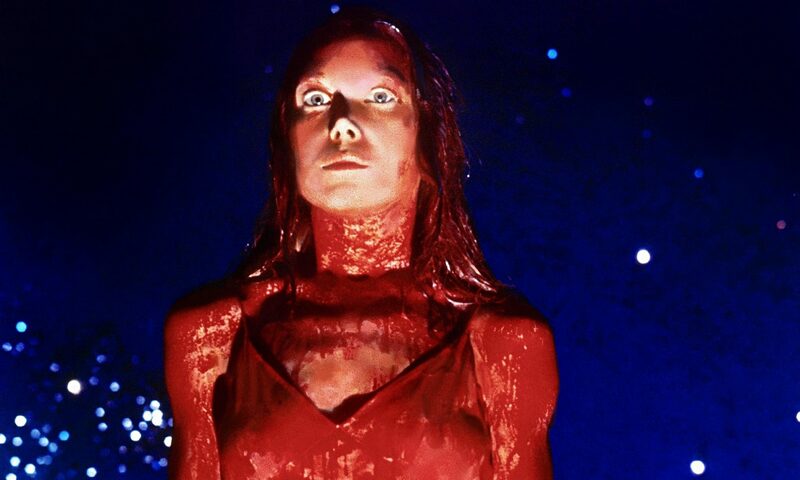 Stephen King would go on to write many more stories after Carrie, many of which would also be adapted for the screen to varying results. He would even return to explore themes of growing up and the challenges associated with that process in works like It and The Body (the basis for Stand By Me) but Carrie stands alone as the work that showcased the beginnings of a world renowned author and what a Stephen King movie could be. Once is a love story told in bittersweet beautiful simplicity through music and muted emotions.